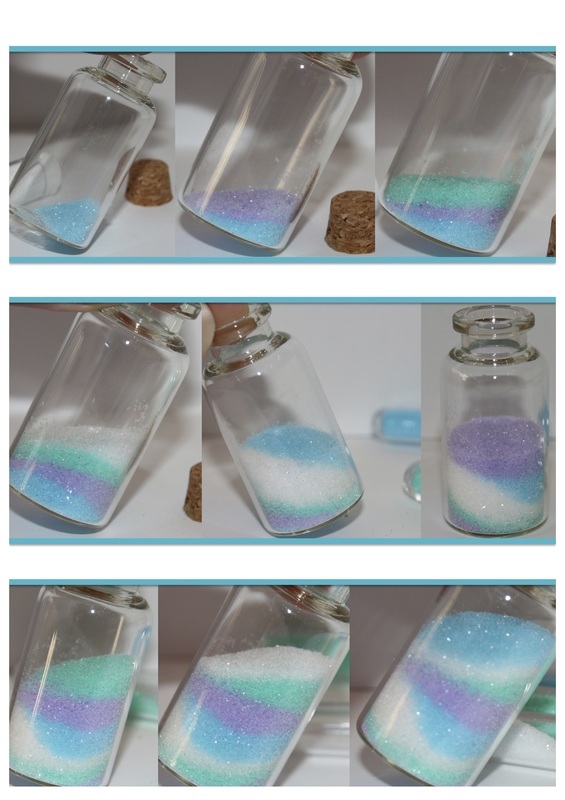 Use coloured sand to create a colourful and unique landscape inside a bottle. 1. 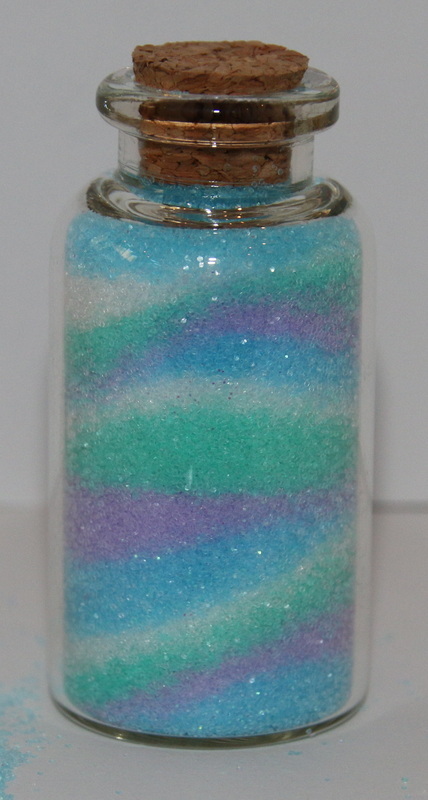 Coloured sand (available at craft shops). 2. Bottle with stopper (available at craft shops). I used a small (approx 5cm high) bottle. 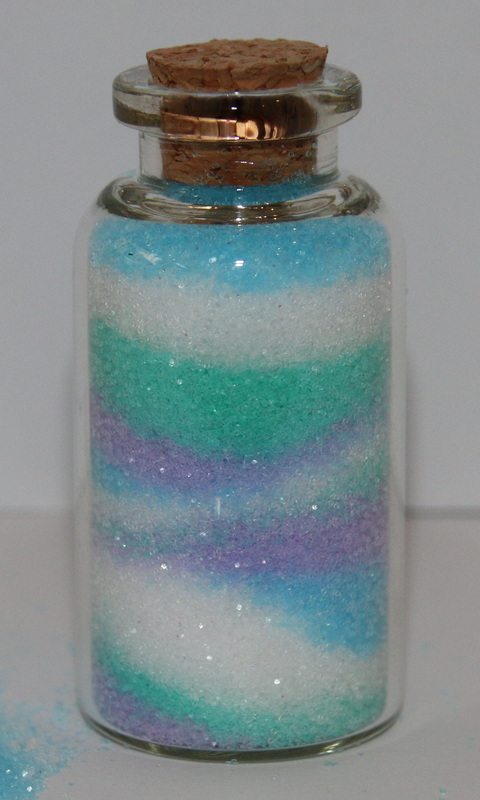 The larger the bottle, the easier to pour in the sand and the more layers you can create, but more sand will be required. 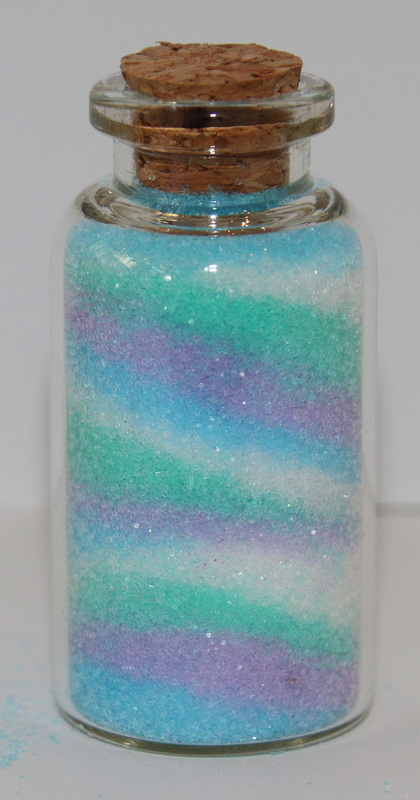 A stoppered bottle works better than a twist top bottle as you can compress the sand into the jar with the stopper. 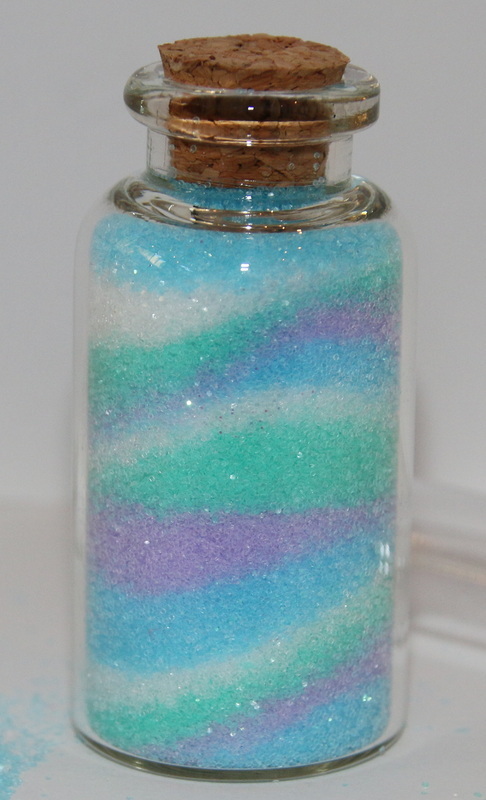 Pour a small amount of sand into the bottom of the bottle. You can hold your bottle straight upright (this will create flat layers), or tilt it on an angle (this will create angled layers), or you can change the tilt as you add layers to create a more varied effect. Add further layers of different colours of sand, slowly building up the layers. 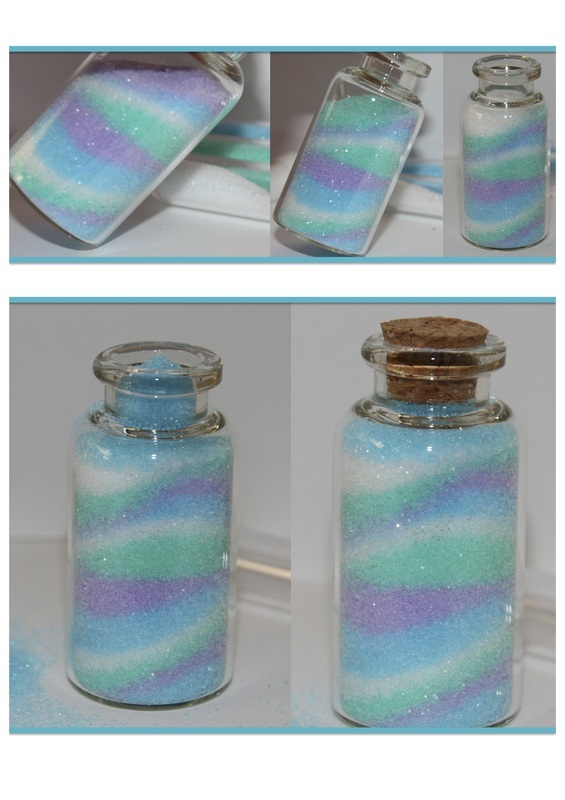 You can GENTLY tap the bottle to help spread and even out the layers, but if you tap too hard or shake the bottle then you will mix the sand layers and loose the effect. When you get to the top of your bottle, fill the sand right up near the top. GENTLY tap the bottle to settle the sand down, and add more sand if the level falls too far. 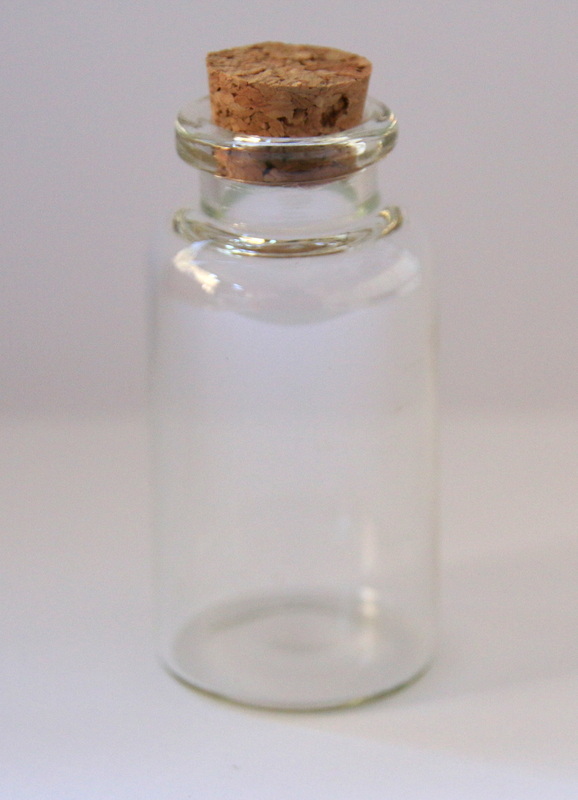 Push the stopper / cork down hard into the bottle, compressing the sand into the bottle. This will compact the sand, and prevent it from moving and mixing as the bottle is moved around. 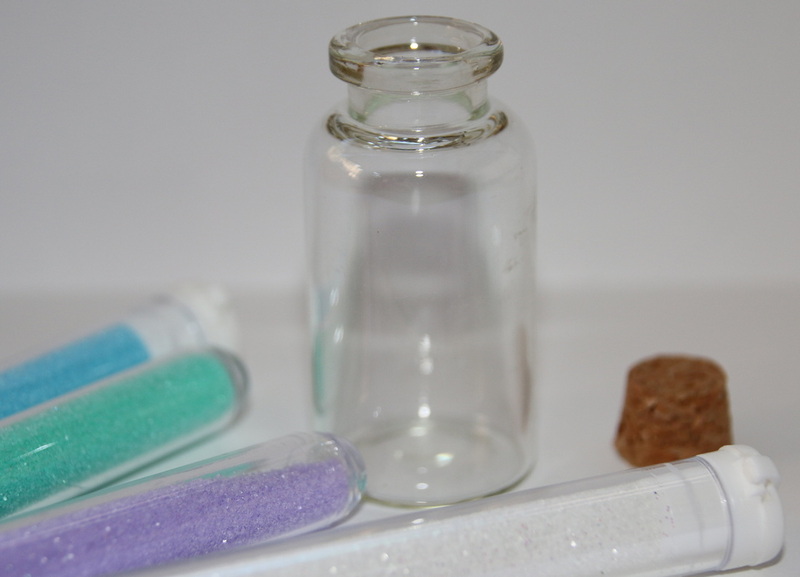 if the sand isn't tightly pressed, carefully remove the stopper and add some more sand before re-stoppering the bottle.